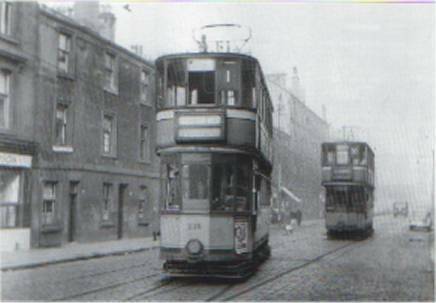 Crossover Tram No 30 from Blairdardie to Dalmarnock and Tram No 1 heading for Scotstoun West. 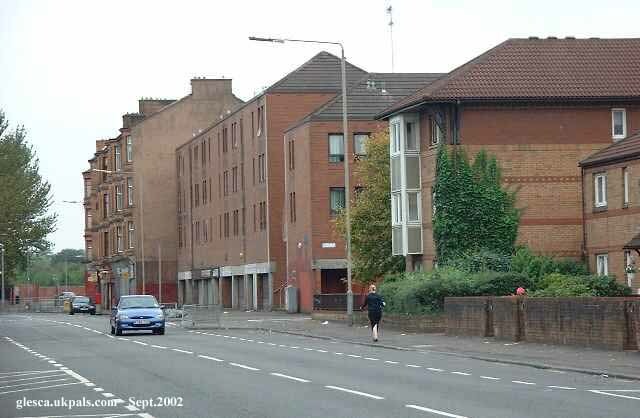 Springfield Road photograph taken from junction of Dalmarnock Road. "....Had a wander through your website with a few stops along the way for a wee bubble.... I was born in Springfield Road...just at Dalmarnock Road...now when I get homesick....I'll just go to this site...thank you...Helen"
"I was born at 157 Springfield Rd. in Nov 1942 .....really great website"